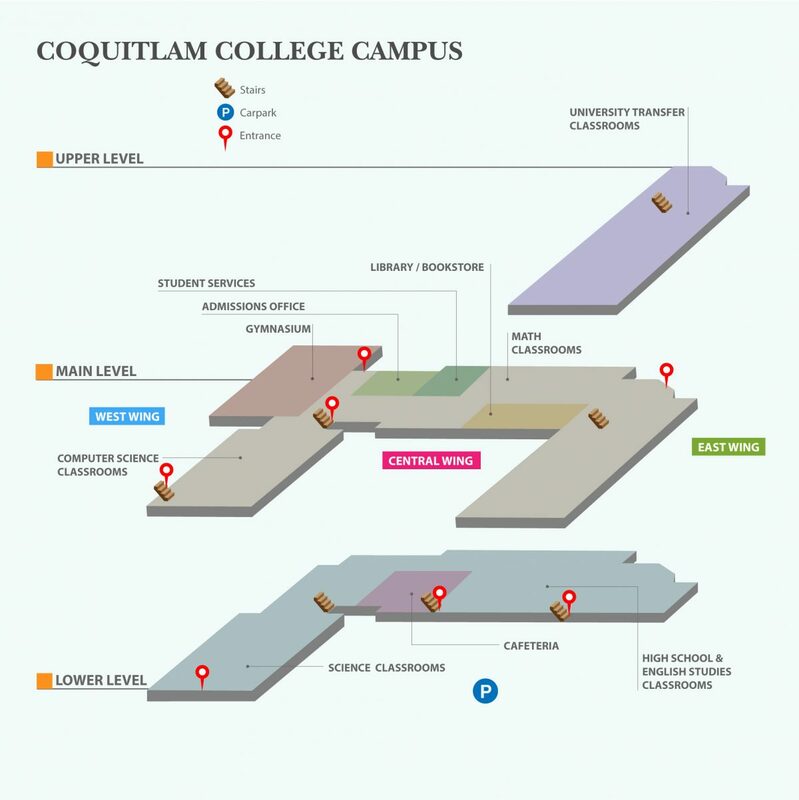 Coquitlam College maintains its own campus which is situated on a large property of approximately 7 acres and is a 5-minute walk to the Lougheed Skytrain Station and Lougheed Mall. 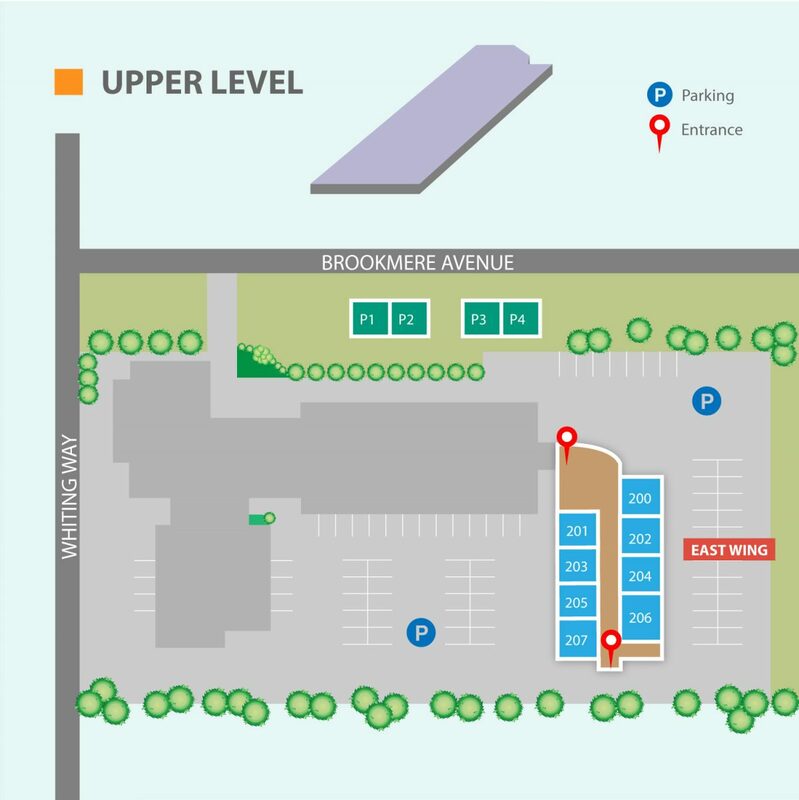 There is student parking and a lovely landscaped garden for students to enjoy. The College gym is always open to students with a variety of sports to participate in every day. 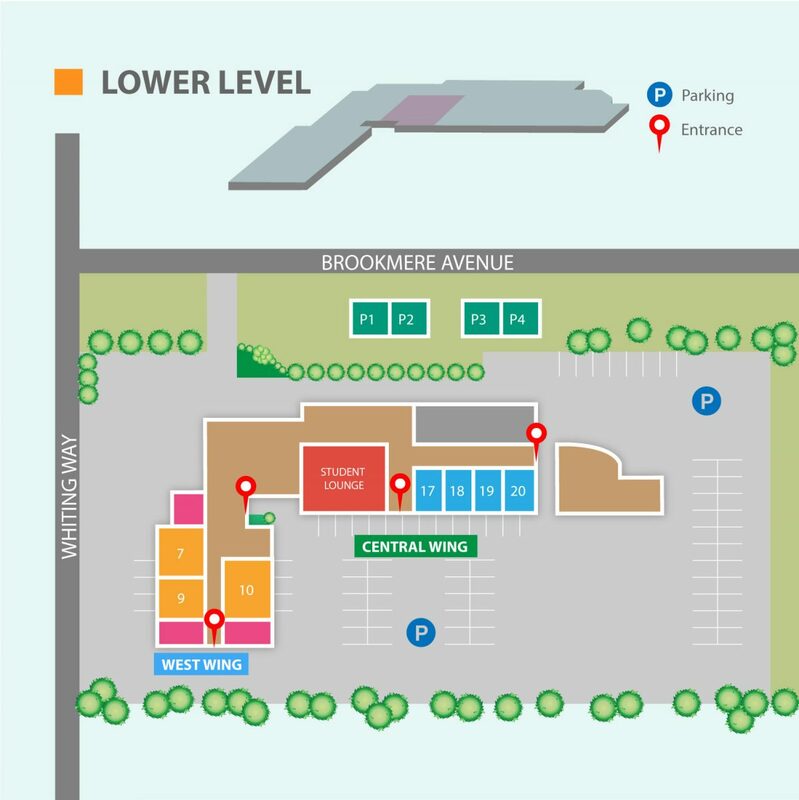 Coquitlam College’s Surrey campus is located in the heart of one of Canada’s fastest-growing cities. 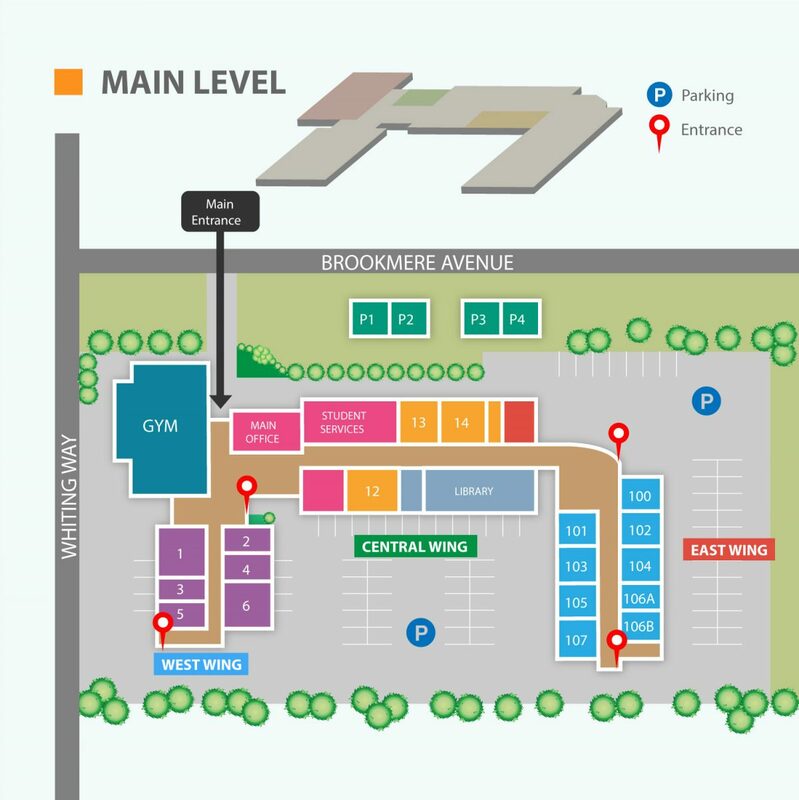 Only 5 minutes on foot from the King George transit station. Be reminded that Coquitlam College has a no smoking policy on all campuses.